The wonderful Morelli House was open this morning courtesy of the Junior League and the Preservation Association of Clark County. According to docent Donna Andress, the Morelli House is a classic example of Las Vegas mid-century residential architecture. Our pal, Alan Hess, says "In Las Vegas the past is often overlooked, forgotten or demolished in the rush to the future. The historic Antonio and Helen Morelli house, preserved by the Junior League, however is a vibrant reminder fo the newness, optimism and style in Las Vegas in the mid-20th century." The house was built in 1959 at 52 Country Club Drive in the prestigious Desert Inn Country Club Estates. The house had a wonderful view of the world-class Desert Inn Golf Course. Sands Hotel Orchestra Leader Antonio Morelli chose the mid-century modern design for the house. Working with the hotel's carpenter forman, Richard Small, the two men over the course of two years designed and built the house. Hugh E. Taylor, a local architect, drew up the plans. "The house's bold horizontal lines", according to Hess, "glass walls, open plan and natural materials embody the fundamental tents of Modern architecture and Modern living in that period." Morelli and his wife, like so many newcomers back then (and today) came to take advantage of the possibilities of a new life in Las Vegas. 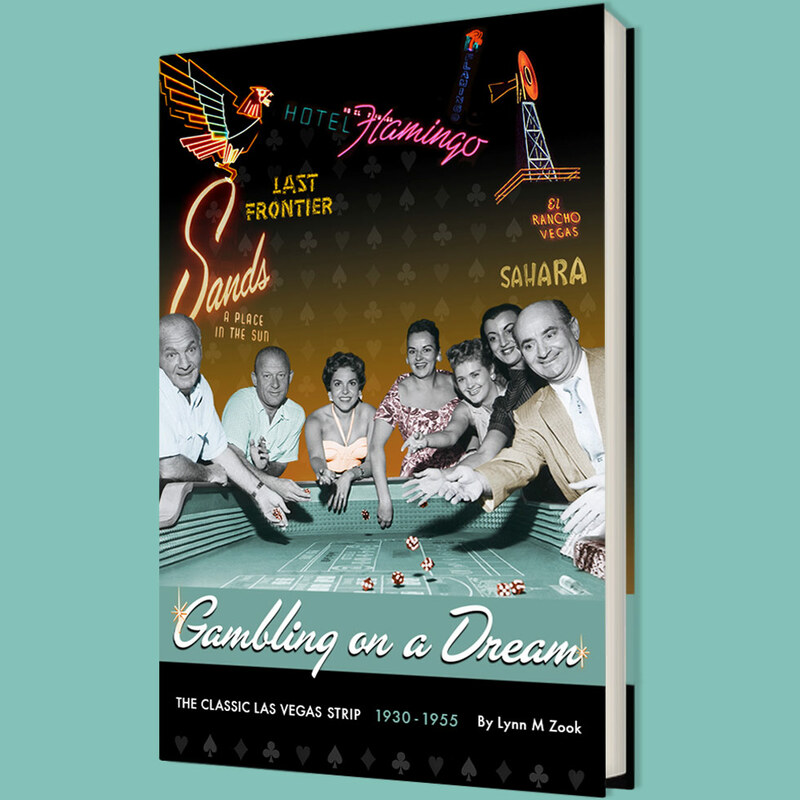 The Sands Hotel, perhaps more than any other hotel of its day, resides in our collective memory of Classic Las Vegas as the epitome of class and style. The Morellis had arrived at the right time. From New York, the classically trained musicial traveled the country as a pianist with various vaudeville acts and theater productions. He had married Helen Collins in 1935. They arrived in Las Vegas at the right moment. The theater circuit that had sustained Morelli for many years was coming to an end. Television was the new interest and variety shows brought entertainers into people's homes for free. Las Vegas brought those entertainers to the showrooms of the Strip where for $15 dollars you could have dinner, two drinks, dessert and see Frank Sinatra, Dean Martin, Judy Garland and the other stars of Classic Las Vegas. The Morelli house was 2800 square feet with plenty of room for entertaining. The main room with its copper hooded fireplace and the formal dining area had a spacious view of the Golf Course courtesy of the tall ceilings and sliding glass doors that opened onto the patio. The kitchen offered a more initimate less formal area filled with the top of the line appliances of the day and leather banquettes. A television cabinet kept them up on all the latest news. On the other side of the living room, a hallway leads to the master bedroom and a guest suite. When it was located on the Country Club, the house had an outdoor pool in the front yard. A walled yard offered some privacy for the swimming pool. Screens of ornamental block added more privacy and texture. Morelli later added a studio on the other side of the kitchen but, due to structural limitations, that structure could not be moved. After Morelli passed away, his wife Helen decided to move back to New York to be closer to her family. Mr. Kay G. Glenn who was Howard Hughes press secretary from 1951 until the millionaire's death in 1976 bought the house. He only made two small changes to the house in the 22 years he owned it. He changed the paint color in two places. He took exceptional care of the house and respected the original concept that Morelli had envisioned. Because of this, the house was in its near original condition and represented a "perfect historically unaltered example of mid-century residential architecture." In 2000, Steve Wynn purchased the Desert Inn Hotel and the homes on the Golf Course. He had plans for a new resort that did not include the Golf Course or the homes. At that time, the Junior League had attempted to save the Whitehead house, the childhood home of neon designer, Betty Willis. They had moved the endangered house to a vacant lot donated by Jackie Gaughan. Unfortunately, the Whitehead house fell victim to a fire of suspicious nature and was lost. Developer Irwin Molasky contacted the Junior League and offered them the Morelli House. The University of Las Vegas School of Architecture had identified the house as the house "most worthy of saving due to its classic mid-century design, superior workmanship and materials and its historical provenance." The house was moved to the corner of 9th and Bridger diagonally across the street from the old Las Vegas High School. The Junior League has taken great care of the house and teamed with furniture maker Valdimir Kagan. Mr. Kagan toured the house and became so enthralled with the possibilities that he designed and donated the furniture in living room. The burgundy serpentine sofas were donated by American Leather Company adn the cocktail tables and barrel chairs were donated by Weiman Preview Furniture Company. The Morelli House is available for tours and is available for rent for special events by contacting the Junior League of Las Vegas at 702-822-6536.